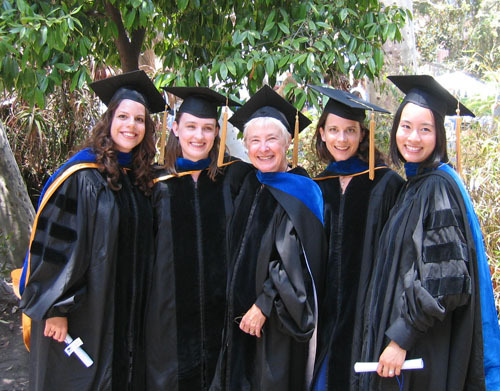 2007 hooding ceremony. Doctors from left to right: Nicole Eberhardt, Nicole Philips Connolly, Connie Hammen, Sam Fordwood, & Leslie Yan Meier. Connie's home, spring 2006. 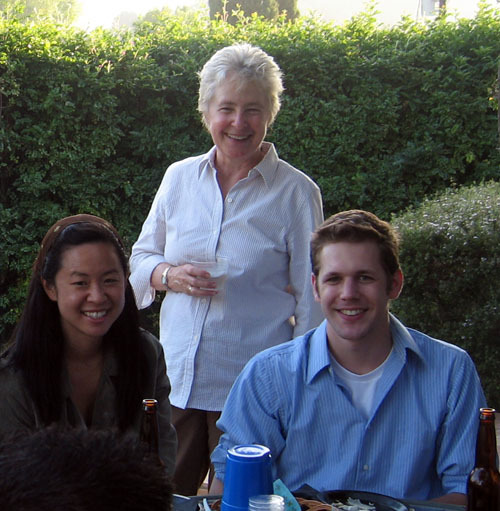 Eunice Kim, Connie Hammen, & Nate Herr.